Joe and I have been putting in the hours flying the first Lambada. 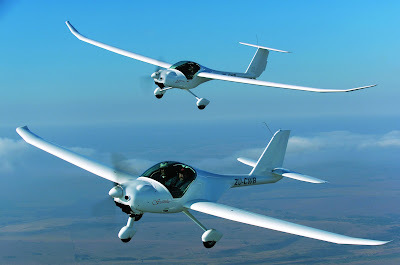 Cruising to neighboring areas including the hanggliding site Wallaby Ranch, and several airports. Soaring with the birds in 600fpm lift with the engine off, and running cloudstreets at cloudbase. The Lambada is a beautiful, responsive, fun aircraft. I have started giving demo rides, and everyone loves it. We have the 'plane, we have the interest, but do we have the economy to currently support a luxury item? We'll find out in a few days at Sebring. Kathy and Rachel return to Stardust today after dropping cousins Mike and Steve off at the Jacksonville airport. Can't wait to see them again after a couple of weeks!